An office like an elegant but cosy parlour inspired by the mid-century modern style. An inviting meeting place, for both guests and employees, combining a friendly atmosphere with a business image. This is the new Ceetrus workspace, which above all expresses the culture of openess prevailing in the company. We were faced with the challenge of designing an office just after the company’s rebranding. 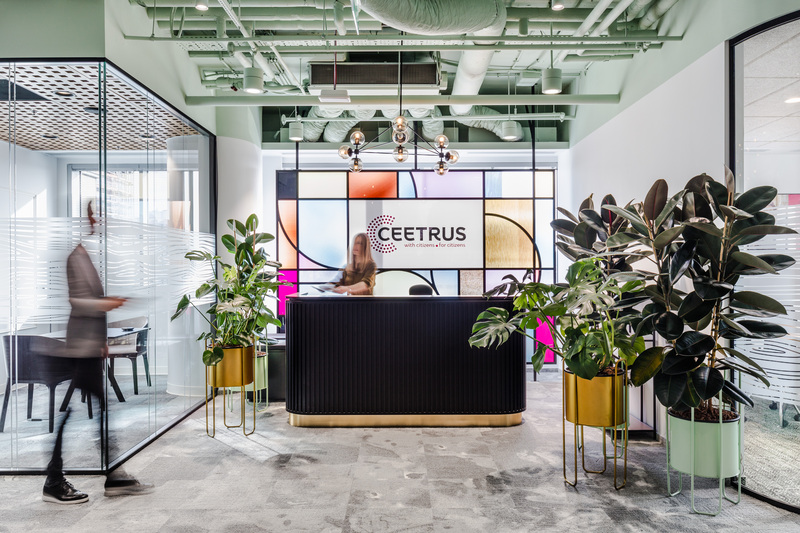 The new Ceetrus work environment was supposed to express change, not only in the visual identification, but also in the culture of the whole organisation. Ceetrus works as a developer, commercialisation entity and administrator of Auchan shopping arcades and centres. 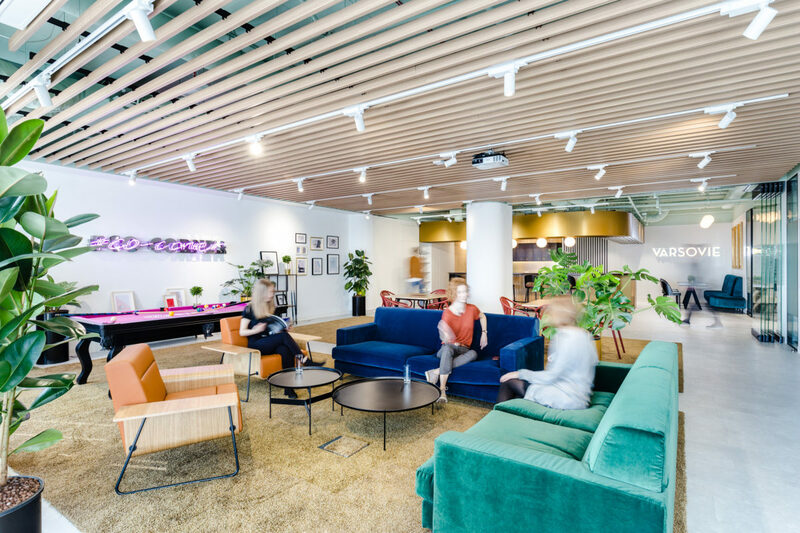 Their space had to be a functional response to their work pattern and frequently organised customer and partner visits such as, among other things, business breakfasts. According to the concept of human-centered design, human needs were supposed to be of utmost importance. The point of departure were everyday interactions between employees, both formal and spontaneous, based on casual wisdom exchange and openness – both spatial and human. These are the premises of the Activity-Based Workplace concept, which we have successfully implemented in this place. This is the transformation not only of the workplace, but above all of its culture. The office and social areas were meant to be a home-like, elegant lounge room. We are happy to invite our guests there, hold serious conversations and laugh. Ceetrus is a conscious company which knows its own needs and expectations concerning their workplace. At the beginning of the process of designing a new office we conducted a series of internal interviews, creative workshops and presentations. Therefore, we had a very precise vision of our future headquarters. Our conclusions and close cooperation with Workplace allowed us to design a made-to-measure workplace. 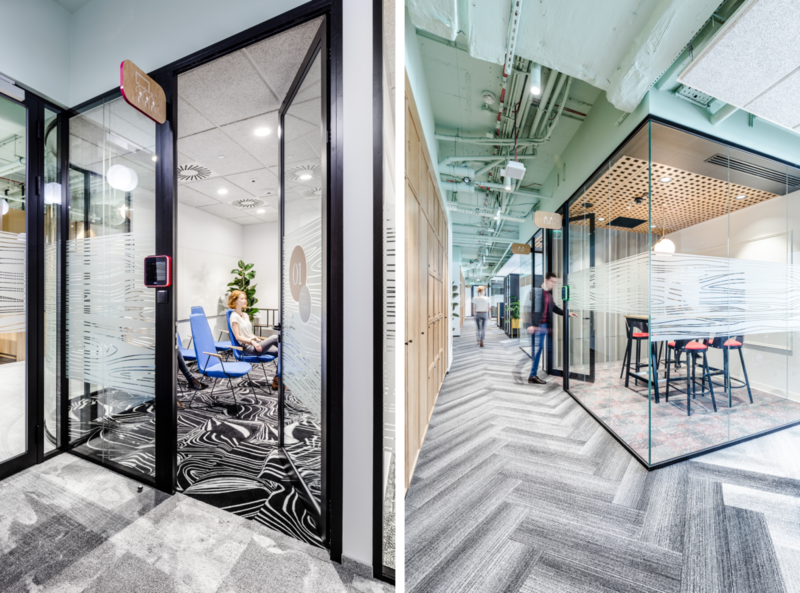 After rebranding, we entered a new phase and our new office shows both openness to customers and a home-like character making integration easier. We believe that it will help us to carry out our Vision 2030 better, that is combining people through creating well-balanced, intelligent and vibrant places, to brighten up each day. – Marcin Wawiernia, an architect coordinating the project on behalf of Ceetrus. 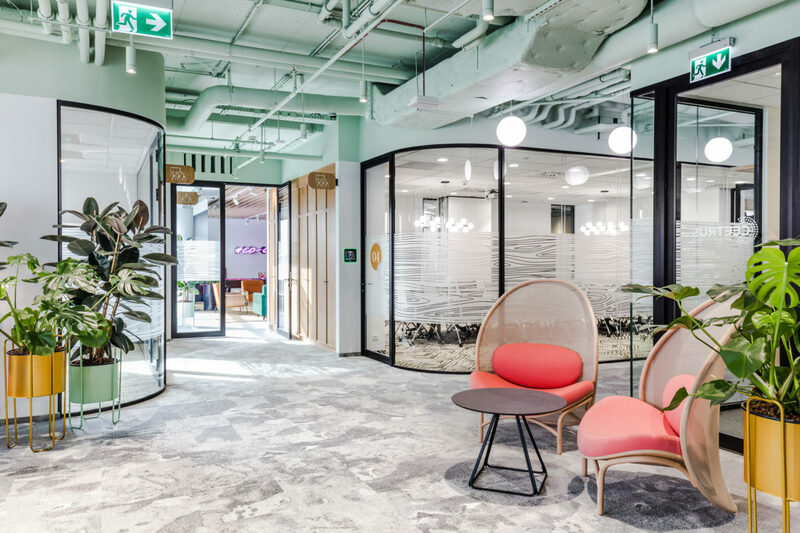 Elegance that is economical with details while showing a business attitude and the warm, cosy style evoking a home-like atmosphere became the two main central threads of this project. The main inspiration was the mid-century modern style, which combines both traits. The design is based on a large number of natural elements – real plants and wood as well as warm colours with single, stronger accents. Skilfully matched up materials and vintage additions give character to this space. Personalised wayfinding and spacebranding are a fluent continuation of the architectural project. Graphics and veneers designed with the customer create a consistent spatial imagination system, which helps everyone find their way. Lighting and visual elements express the brand’s image and tell the story of this office. 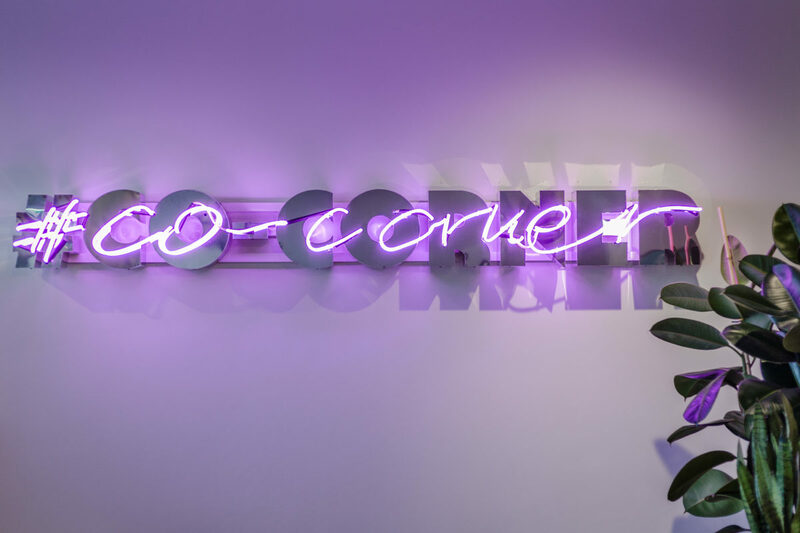 Neon lights, paintings and graphics referring to Warsaw mark the place’s local character – they cheer up the space and make it less anonymous for employees. 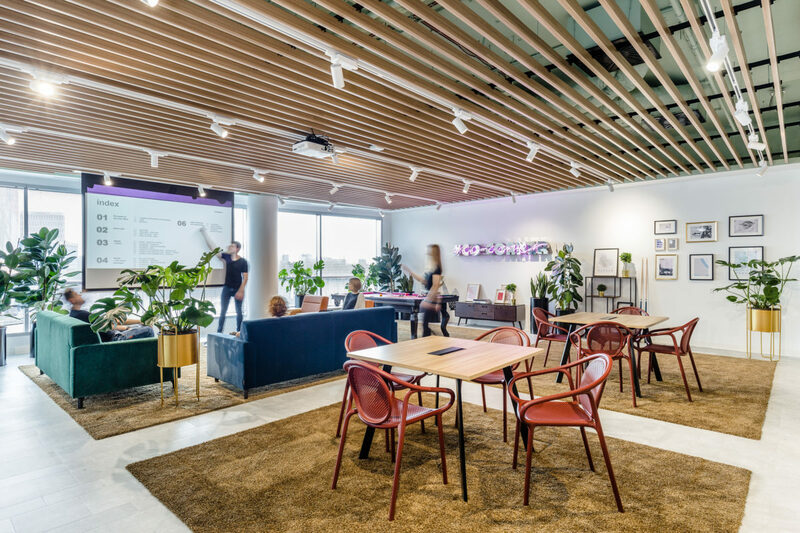 It is the employee who chooses their workstation in the new Ceetrus office, depending on whether they want to work with high concentration, in a group or in an informal manner on soft seats. 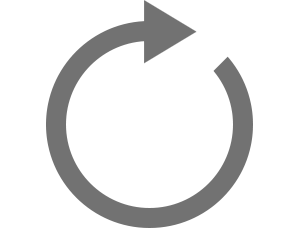 The freedom of choice of where we work depending on our current activities is the assumption of the Activity-Based Workplace concept. Common spaces take up about 35% of the whole area. They are informal workspaces, of different sizes, half-open and closed-off meeting rooms and relax zones. The remaining part of the office – the work zone – is functionally divided but transparent at the same time. 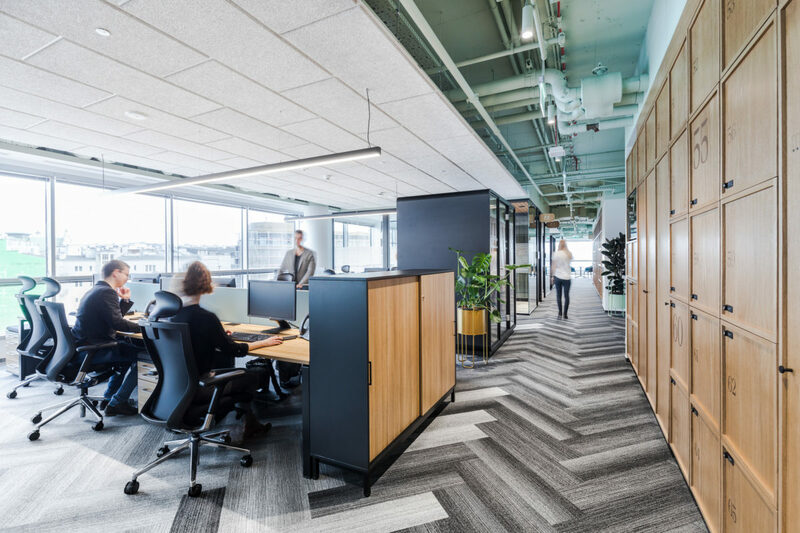 Smaller open spaces are dedicated to given departments or teams and there are two meeting rooms and a study for focused work assigned to each of them. 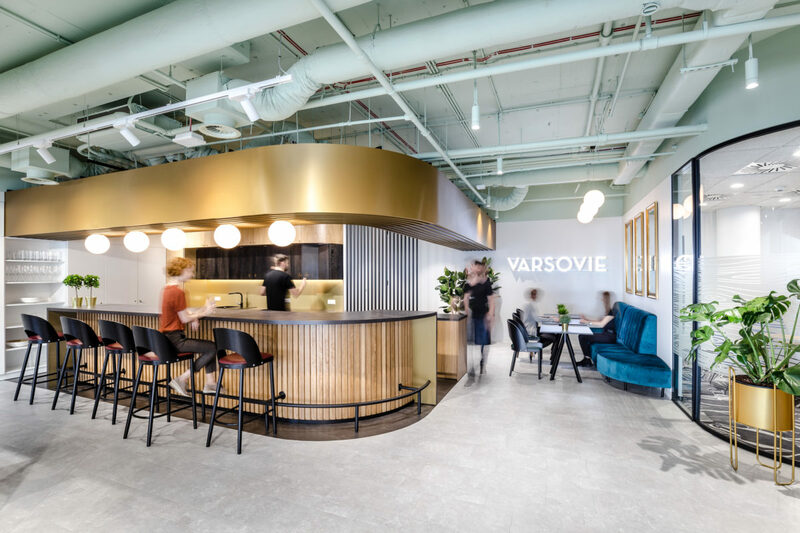 The reception serves as the company’s hub – it divides the space and is a meeting point for employees and customers, where you can drink coffee in peace and wait for a meeting. 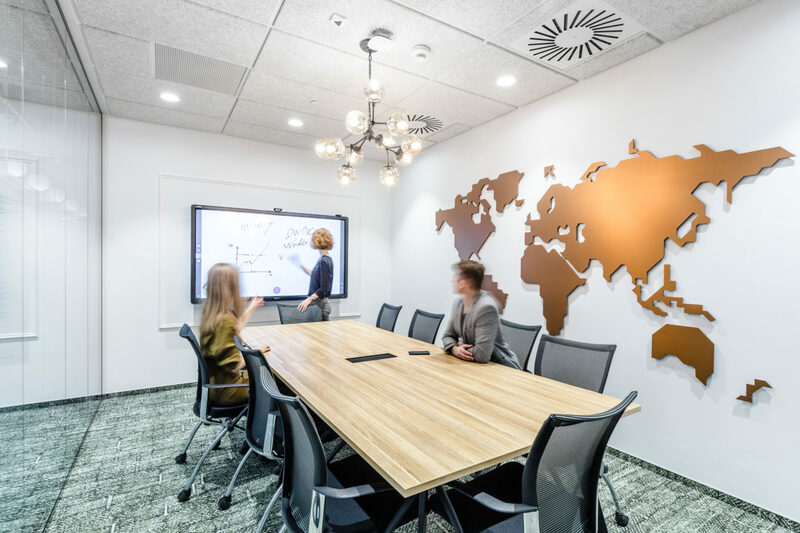 There are four large conference rooms around it, two of which can be joined together by a mobile wall when a bigger meeting is organised. Just near the reception is the most vibrant place of this office. This heart of the company is a coworking space combined with a dining room, a kitchen and a stylish bar. It is here where bigger business meetings and events for employees take place. It is a place for meetings and casual thought exchange, constructed according to the motto of the company: “with citizens, for citizens”. You can have a coffee here, play pool , work, talk to another person or simply unwind everyday. This space comprises as much as 16% of the whole office area. Such a big and multifunctional shared space acts as a catalyst for creativity. It helps to build personal bonds between employees, which are so significant in the modern business culture. We try to promote creating such spaces every time we design an office. 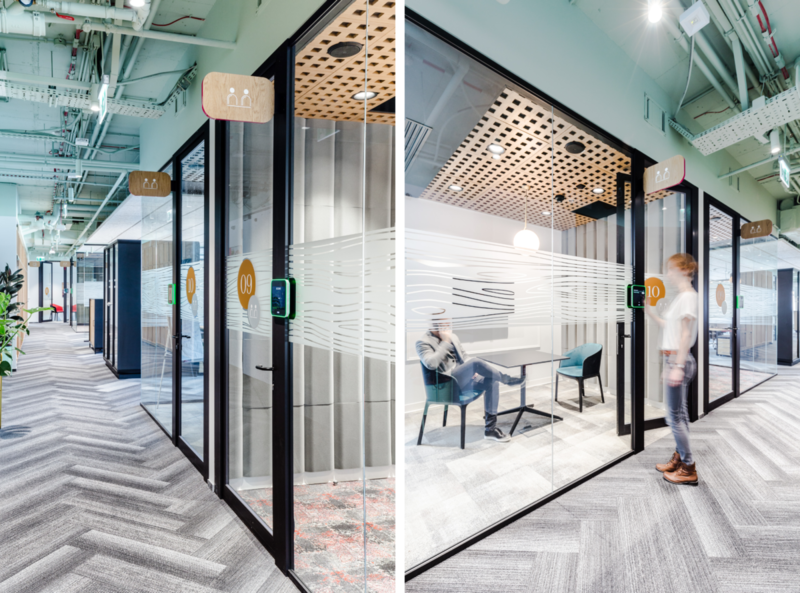 This trend, together with a greater area of open and less formal meeting spaces, helps us to design human-friendly places. Workplace Solutions sp. z. o.o. How future offices will look like? Do you want to know the trends? Are you interested in our projects. Once in a few / several weeks we share knowledge.